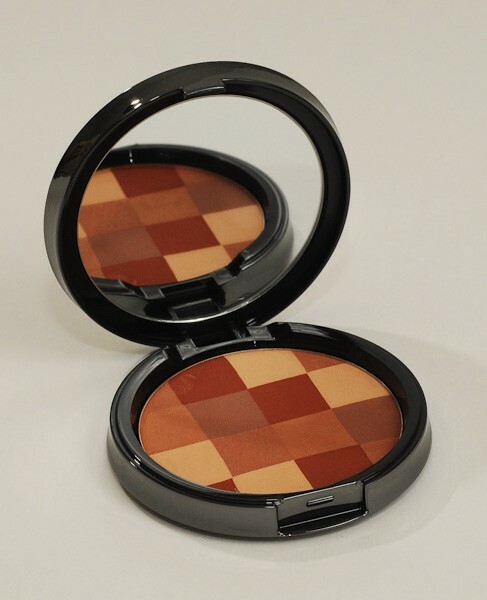 Powder Mosaic Bronzing Powder/Bonfire Beach - Carol Thompson Images, Inc.
What It Is Mosaic bronzer with five warm, bronze shades that blend together to create a bronze glow that enhances any skin tone. Hypoallergenic. Paraben-free. What's Inside Vitamins C & E condition skin and provide antioxidant protection. 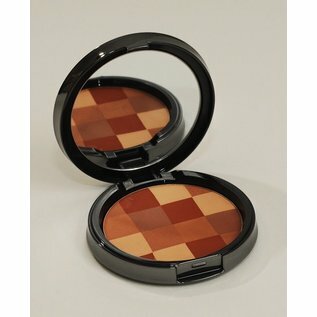 How To Use Apply to face and décolleté, using a large brush, highlighting the forehead, nose and cheeks. Talc, Zea Mays (Corn) Starch, Polyethylene, Silica, Zinc Stearate, Tricaprylin, Caprylic/Capric Triglyceride, Beeswax (Cera Alba), PEG-150 Distearate, Lanolin, Laureth-4, Tocopherol, Ascorbyl Palmitate, Chlorphenesin, Potassium Sorbate, Tetrasodium EDTA. May Contain (+/-): Mica, Titanium Dioxide (CI 77891), Iron Oxides (CI 77491, CI 77492, CI 77499), Manganese Violet (CI 77742), Bismuth Oxychloride (CI 77163), Carmine (CI 75470), Ultramarines (CI 77007), Chromium Oxide Greens (CI 77288), Chromium Hydroxide Green (CI 77289), Red 6 (CI 15850), Red 7 Lake (CI 15850), Red 27 Lake (CI 45410), Yellow 5 Lake (CI 19140), Yellow 6 Lake (CI 15985), Blue 1 Lake (CI 42090).